Ron Howard's Solo: A Star Wars Story, which will hit the theatres on May 25, features Alden Ehrenreich, Donald Glover, Emilia Clarke, Woody Harrelson, Phoebe Waller-Bridge, and Joonas Suotamo. 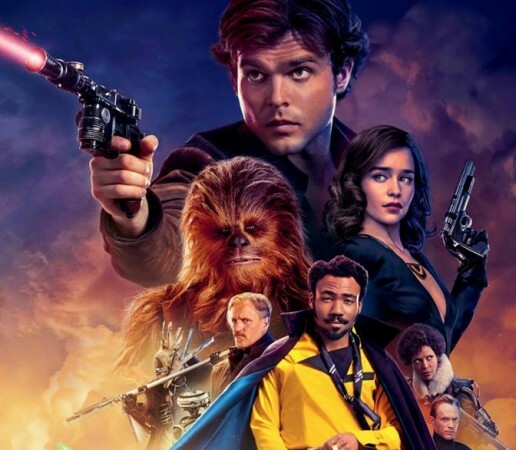 The first reactions for Solo: A Star Wars Story are finally out and the film seemed to have matched up to fans' expectations. Disney premiered the movie on the night of May 10 for the first time and all the critics are quite excited upon watching the film, which features Donald Glover, Woody Harrelson, Emilia Clarke, Thandie Newton, Phoebe Waller-Bridge, Joonas Suotamo, and Paul Bettany. It is set to hit the theatres May 25. The portrayal of young Han Solo (Alden Ehrenreich) has been praised all over as a critic wrote on Twitter, "It does take a bit to get used to Alden as Han." The official synopsis of the movie reads here. Check out the first reviews posted on social media by the renowned critics.